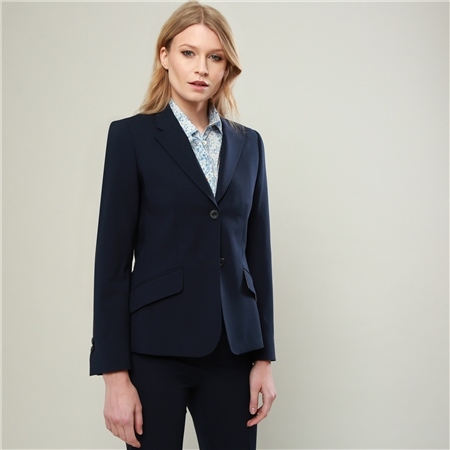 A timeless navy suit jacket which is ideal for both work or formal occasions, styling is simple yet elegant with two buttons, slant pockets and a Liberty of London print internal panel. The fabric is a wool blend with stretch, designed for comfort which has natural anti-crease properties making it ideal for travel. Pair with the Fahan or Willow trousers to complete the look. Also available in black.